Audiences will be taken on a fantastical journey from the Baroque era to more contemporary visions of the future at a concert by the Peninsula Arts Sinfonietta. The programme for Mindful Visions: Metamorphosis, Daydreams and Fantasies will feature pieces by composers Thomas Tomkins, Henry Purcell and Antonio Vivaldi, renowned by many in their day as innovators ahead of their time. But they will be complemented by newly-commissioned works from composers based at the University of Plymouth, the result charting the development of classical music and changing visions of experimental composers almost four centuries apart. The concert on Saturday 08 April is part of Peninsula Arts’ new Visions season, which aims to celebrate the visionary nature of artists and creative thinkers and how they provide new ways of understanding and seeing the world. Pensiveness, by Marcelo Gimenes, is a musical piece for piano and string ensemble upon daydreaming, fantasy and melancholy images. The music revolves around lonely voices struggling to find personal long lost connections to known, yet unfamiliar faces and places. The Peninsula Arts Sinfonietta comprises players from across Devon, Cornwall and Somerset and have performed at a range of events this year, including Peninsula Arts’ own Contemporary Music Festival. It features up to 30 players, with this particular concert featuring 11 strings and three piano soloists, and its repertoire ranges from traditional classical works to more contemporary new pieces. The concert takes place on Saturday 08 April, from 7.30-9.30pm, in the Upper Lecture Theatre of the University’s Sherwell Centre. Tickets cost £10 (£7 concessions), discounts are available via the Artory App and they are free to University of Plymouth students. Simon studied conducting in Germany with Klaus Donath and in London with Sir Colin Davis. Before joining Plymouth University, Simon spent 20 years conducting in Bath where he was Artistic Director and Resident Conductor of Bath City Orchestra directing concerts in Bath’s famous Pump Room, Guildhall and Assembly Rooms. 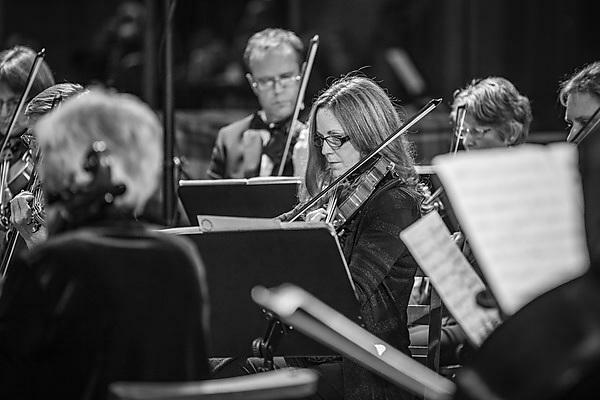 Sarah Walker CBE, and conducted numerous world premieres including music by Stevie Wishart, Karen Wimhurst, Ben Bartlett, James Barrett, Linas Baltas. His recordings include Nigel Shaw’s Dartmoor Symphony and Mind Pieces by Eduardo R Miranda.